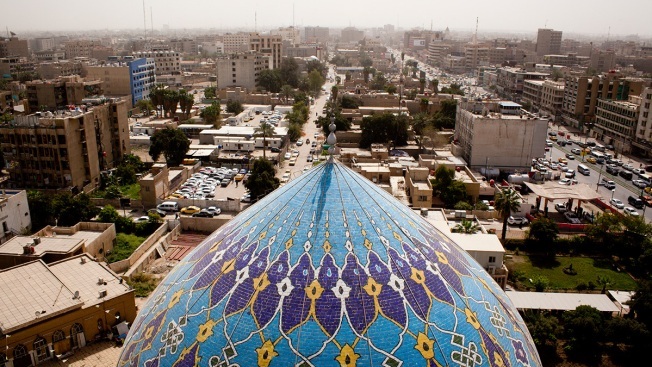 This March 18, 2013, file photo shows a general view of downtown Baghdad, Iraq. Although Islam is the state religion in Iraq and it is against the law to slander or insult any faith, atheism itself is not illegal there, according to legal expert Ali al-Timimi. Anecdotal evidence suggests a small but growing community of Iraqi agnostics and atheists in the Muslim-majority country, NBC News reports. But power, violence and religion are a toxic mix, and many of Iraq’s unbelievers have been forced underground as religious hard-liners battle for control of the young democracy, which is struggling to balance the demands of both Sunnis and Shiites, plus smaller ethnic and religious communities.